Welcome to a summary of the latest news released by Creative Assembly, and some brief thoughts on it. The news which can be found in their latest blog post, on the state of the three upcoming historical projects. The first project that is due to be released is a campaign expansion for one of the older historical Total War games, which Maya the historical project director of this team thinks is the biggest historical one Creative Assembly has done thus far. According to Maya this project has been worked on for the better part of a year, and testing is currently underway with nearly all of the content finished. This is the first time CA has gone back to a game after so long, which is new territory but Creative Assembly is confident it will be worth it as there are still a lot of people playing this particular game and there is a lot that Creative Assembly can expand upon in the particular area such as really incredibly stories and events that defined history. Alongside this new expansion, there will also be a free update to the particular Total War game which will be "big and interesting". Personally I think that this expansion sounds exciting and is a good way of pleasing those who prefer the historical Total Wars, and I'm keen to see what it comes to. However as a modder I can't help but address the fact that I imagine quite a lot of mods will be made incompatible by this project. As they are updating an old title, mods are definitely going to be left behind and abandoned, and I can't help but wonder how many modders will actually take the effort to go back and fix their mods. All in all however, this is the cost of progress and I would say this new historical expansion will be much more positive that negative, and might even inspire new modders to the particular game. The exact era that will be featured is up for speculation, but I'd say that the picture above appears to depict either a monk or perhaps a chieftain. Make of that what you will. 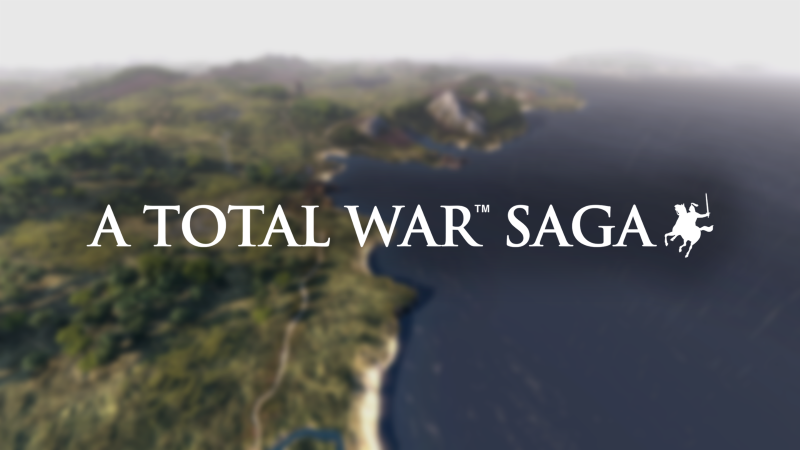 The second project Creative Assembly have addressed is the upcoming Total War Saga. In case you don't remember, or didn't see the original discussion, then I will summarise the previous blog posts on what the Total War Sagas are, however more information can be found in the announcement blog and in the Q&A page. The Saga titles are "standalone spin-off titles focusing on exciting pivotal moments in history, rather than whole historical eras". 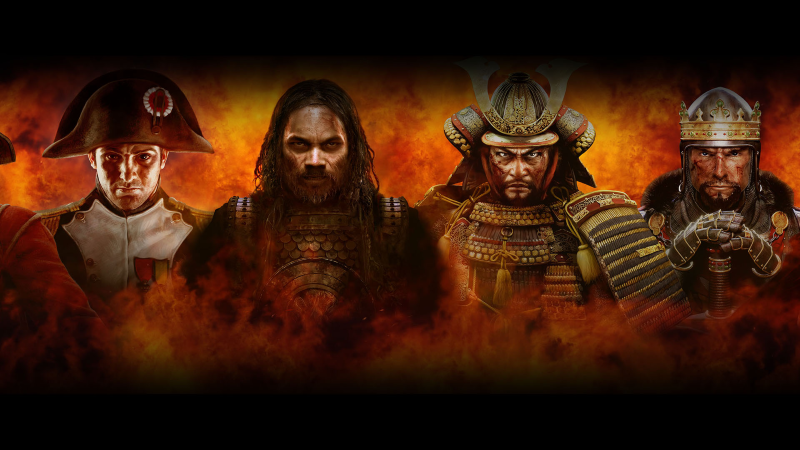 The Saga titles will follow on from previous Total Wars, and inhabit the same time-period or at the very least relate to it, such as the Fall of the Samurai expansion being a spin-off of Total War: Shogun 2 and being focused on the pivotal event of the Boshin War. The nearest games to a Saga title to date have been Napoleon: Total War and Total War: Attila. These two titles expanded upon Empire: Total War and Total War: Rome 2 in various ways such as improved mechanics but also by focusing on a very specific time period in which an importal historical figure was active. It should be noted however that the Saga games also aim to address "key, pivotal points in history which don’t necessarily revolve around a single character, and only lasted a few months or few decades at most." As such, these Saga games will be constrained to a tight geographic area but this is not to say that the campaign map will feature less playable factions or conquerable territories as standard Total War games. Now onto the actual update about the up-coming Saga with information from ​Jack Lusted, a previous member of Total War Center and the game director for this project. The information is sparse, but Jack admits that maybe the Saga team weren't as obscure as they could have been with when they released the picture featured above. This comment would appear to confirm fan spectulaction, that the coastline pictured above is the coastline of Ireland. We will have to see how this plays out, but it should be interesting. No concrete date has been given for more information, other than that the Saga title will come out after the historical expansion and update mentioned above. Jack warns that fans should “beware of the crow” however. Perhaps this is the crow in question? Finally, the third project in the blog post is the upcoming historical title, the first since 2013, which will reportedly cover a whole new time period we’ve never been to before. Janos, the director of the upcoming historical title, states that progress is going well, and after months of researching historical city-layouts it is coming together in-game. Janos also reports that the motion capture animations for this Total War will be much more ambitious than previous historical total wars, with an extra investment of time, effort, and external experts to get the maximum impact. No hints are given as to the era this historical title will be set in, and Jason admits that it is easy to come up with a big list of eras that Total War has not visited yet but he suggests that historical title AFTER this one has the potential to be a third game for the Medieval , Rome or Shogun series. Many thanks to Caligula for joining us as a guest writer with this interesting news from CA! Sounds like the expansion might be for Empire. Old title, still played by people... fits both criteria. However, S2TW could also be choice given Japanese history. There is a lot of time periods to focus on and still get a TW game. I should note that the last sentence should be that the "historical title AFTER this one has the potential to be a third game for the Medieval, Rome or Shogun series." I would still like a India campaign\scenario - somewhere at the start of the Moghul period, perhaps? @ Gig, I think that would be an excellent choice for a "saga" topic to explore. I think medieval period would also be something they would explore as well. I can see both a 30 years war potential and the American Civil War. I still wouldn't rule out a Shogun expansion; there is so many areas to explore conflict there. However, the factions can be monotonous. My mind is wondering, but it would be cool to do a Mansa Musa or at least that region or SE Asia... these would better served as a "change of pace" possibilities. @Gig For sure. China too hopefully, although that might be stretching it! I feel that the Irish coast and that Viking indicate a British Isles return. @Flinn. Good roundup, thanks for writing this. One thing to add. 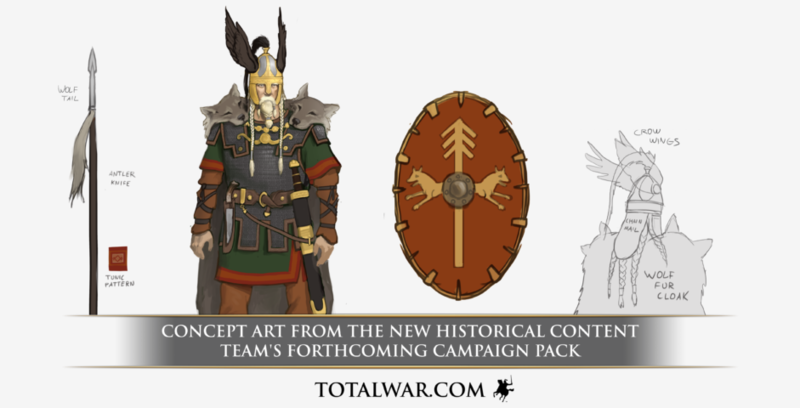 The concept art you linked under Saga says it's "Concept Art From The New Historical Content Team's Forthcoming Campaign Pack," which is Maya's team. So I think Jack probably wasn't talking about that, as he's Saga team. I do have concerns for Mac users such as me. Indeed, the DLC incoming is obviously for Rome 2, and so the free update will also be for Rome 2. But Rome 2 is barely not playable on Mac because CA decided to port it by themselves and not ask help from Ferla Interactive (who ported amazingly all TW titles to Mac but Rome 2 and Attila). I asked Feral if they're working on Rome 2 because of the DLC and update incoming, their answer was "unfortunately no". That basically means Mac users will not be able to enjoy the free update for a game they paid for but cannot play. Shameful. Well... I was right, DLC and update are not available for Mac users and CA doesn't plan to do it. We paid for a game we cannot play, and we even cannot get the same content as PC users. I will never buy another CA game, I swear. Don't want to be rude or something, but almost all games on a personal computer are made for Microsoft. So, at least CA made some games available for Mac. Apple was so persistent not to be made for people that wanted to upgrade they're or customize they're on own computer. While with Microsoft yes (as it is software based). This is the price that mac users have to pay. I am sure mac has other interesting things that are better, but not gaming or customizing computers (in my opinion off course). Dear me I'm glad I never got Rome 2 on the App Store then, for what £30-40?!? Great bits of info. Enough to like and not enough to know what I coming. Ye I like it. Perhaps this is really going back to Kingdoms with a saga related to the Britannia campaign. New engine and perhaps a new(er) map. Of course a stand alone saga can be anything even if not modable. Ah okay. Well pobodies nerfect. So i was right about britian after all.